Energy Month (May) is almost done and dusted. But, that does not mean you have to put an end to your energy-saving mannerisms this winter. What have you done to play your part in decreasing your high appliance usage? Don’t you think it is the perfect time to get your household involved and save some money in the process? Home-cooked or baked meals are the way to go this winter. And, quantity is key. When you have the opportunity to prepare a few meals at the same time, you will lower your stove or oven usage. If you have limited time available to prepare dinner, for example, consider investing in an energy saving appliance like an air fryer. You can use it to fry, grill, roast or bake your meals and cut out the need for your stove. This will save you quite a bit of time and more money on electricity costs. You can stay warm this winter by layering your outfits (in moderation of course – no need to go Eskimo style). During ‘normal’ winter days you don’t have to crank up the heat by using a space heater. Instead, you can close off unoccupied rooms to keep the heat locked in the areas that you do use. You can drink hot drinks (using hot water flasks to avoid overusing the kettle). And, you can keep extra throws or blankets in the living and dining area for everyone to snuggle up and keep warm. try and avoid using the tumble dryer. Rather line-dry your washing. Try not to keep the refrigerator door open for too long. Turn off all power outlets as well as appliances and gadgets (like your computer or laptop) when not in use. And, since you tend to use a lot more artificial lighting during winter – make use of low-energy light bulbs (LEDs) that use up to 80% less electricity than standard bulbs. Cut down on the amount of energy usage while making your house a home this winter. You’ll save quite a bit of money and get into the habit of running an energy-efficient home. 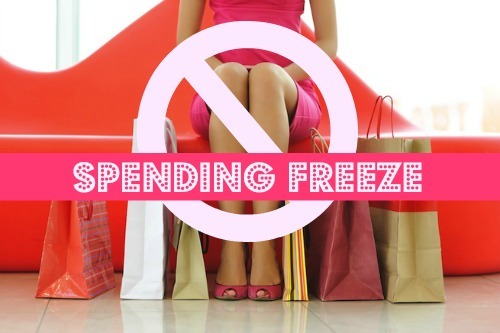 Need help to get your finances out of winter? Click below and contact us today.